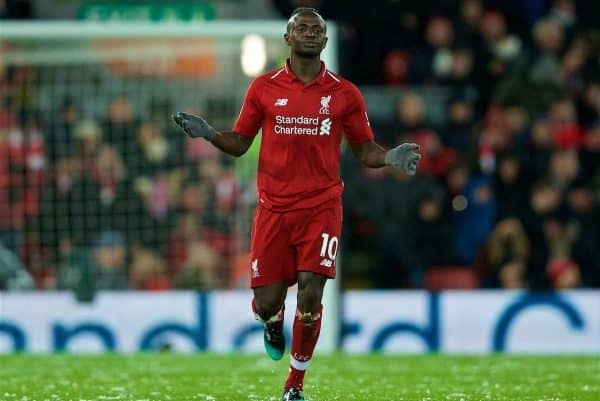 Liverpool squandered a big opportunity after their title rivals’ slip, as they were held to a 1-1 draw by Leicester in the Premier League on Wednesday. 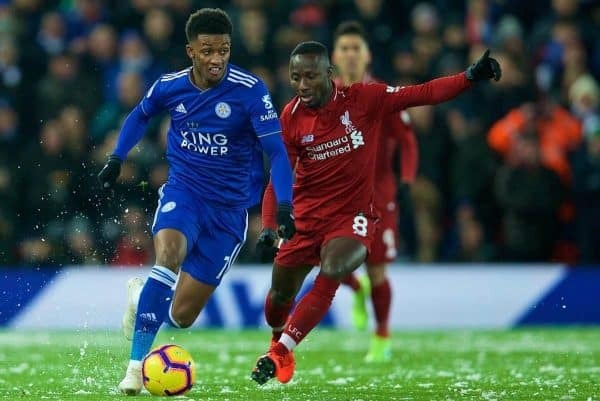 After a warm-weather break in Dubai and a timely boost from Rafa, the Reds were back in action as Leicester made the trip to Anfield on a snowy January night. The time spent in the UAE did not provide Jurgen Klopp with an immediate solution to a spate of right-back absentees, prompting the manager to opt for Jordan Henderson in a new role in his 4-2-3-1. This allowed Naby Keita to join Gini Wijnaldum in a midfield pairing, with Liverpool’s star-studded front four tasked with downing an out-of-form Foxes side and push seven points clear of Man City. The Reds got off to a perfect start at Anfield, with a confident approach seeing a 30-pass move end up with Sadio Mane hitting the back of the net, at a point in which Leicester had only registered one touch of the ball. Roberto Firmino flashed wide soon after, before Mane missed the target with a glancing header, with Leicester growing into the game soon after as they looked to exploit the space between Henderson and Joel Matip. A tactical switch from Claude Puel saw Demarai Gray swap flanks to pit him against Henderson, but it was a cross from his counterpart, Marc Albrighton, that gave the Foxes their best chance of the opening half-hour, with James Maddison sending an awkward header beyond the post. Referee Martin Atkinson waved off two penalty shouts from the hosts, first for a possible handball and then as Mohamed Salah was held up by Harry Maguire, with both seemingly the right call. The conditions certainly denied Liverpool from finding total fluency, and poor defensive work at the end of the half saw Maguire volley past Alisson to make it 1-1. Klopp made no changes at the break, but there was a bold move from the groundstaff as they only cleared the snow from the side of the pitch the Reds were attacking, facing the Kop. More sloppy work at the back from Liverpool almost saw Leicester grab a second, with Firmino required to make a last-ditch block and Alisson forced into a save, and the home crowd looked to inject some positivity back into proceedings. Keita and Xherdan Shaqiri were brought off with 24 minutes to play, with the Guinean on the receiving end of a frustratingly unsuccessful penalty shout but otherwise underwhelming once again. 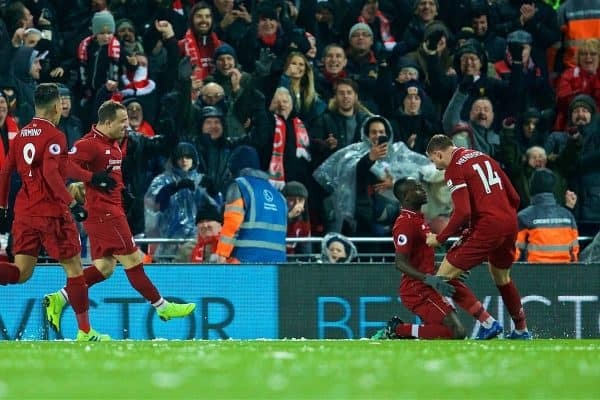 The home side found themselves kept at bay by a rigid Foxes defence, with Klopp making his final roll of the dice as he sent on Daniel Sturridge in pursuit of a vital winner. It ultimately didn’t come, as the Reds dropped two points—though they now sit five ahead of City. * Additional reporting by ISNTV.